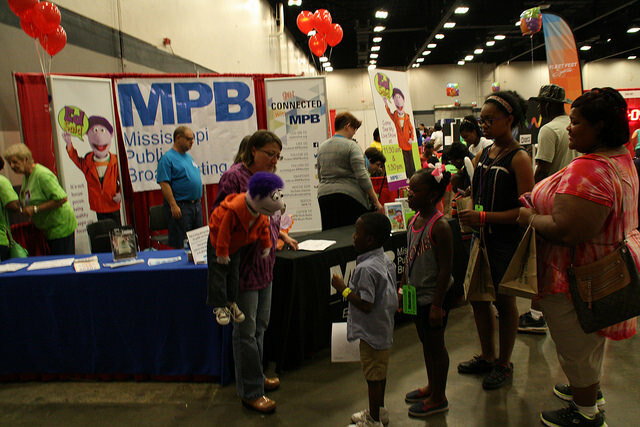 It was a busy summer for volunteers and staff at MPB (Mississippi Public Broadcasting) in Jackson, MS. On Saturday, June 20th 2015, MPB held its 2nd Annual Family Fun Day at the Jackson Convention Center. It was attended by over 4,000 parents and children and was run by staff and volunteers. The event featured PBS KIDS character presentations along with special performances, hands on learning stations, vendors, give-a-ways and many other attractions. MPB collaborated with other organizations to call attention to the importance of summer learning opportunities and celebrate the impact of high-quality programs in curbing the harmful effects of summer learning loss.